Mid-interview, I suddenly hear babbling noises come over the line. “Sorry, I’m here. I’m just holding a baby while another one watches cartoons in the background,” Julie Kronstrøm reassured me. In addition to being a full-time entrepreneur, Julie is a single mother to three kids. That’s certainly a feat by itself, but why am I interviewing her for Electrek? Because along with her brother Christian Adel Michael, Julie crowdfunded over $21 million selling electric bicycles in two campaigns on Indiegogo, and I want to know how. And why. And… what!? Bosch’s PowerTube batteries aren’t the first e-bike in-tube batteries by a long shot, but because Bosch maintains such a big share of the premium e-bike market, the new in-tube variant of their 500Wh batteries allow premium brand bikes to hide their power source better. And that means better looking and performing bikes. We reviewed the Trek Supercommuter 8 last year which had Bosch’s old battery system, still integrated into the frame, and thought the $5000 price tag was tough to swallow, even for the premium components and experience. But we’re going to step it up a notch today with the dual Bosch PowerTube batteries (1kWh total) Riese & Müller Supercharger which we got on loan from Propel bikes in Brooklyn/Long Beach that retails for around $7000 kitted out. As we’ve reported previously, the Trump administration’s trade war has recently entangled electric bicycles, among other products, in billions of dollars worth of trade tariffs with China. What do you get when you combine the buoyancy of a boat, the power of an electric bicycle and the efficiency of hyrdofoils? An awesome new way to zip across the water, apparently. Today, we are reviewing a different kind of bike, the Pedego Ridge Rider, a hardtail mountain bike with RockShox Recon adjustable front suspension. Pedego likes to view itself as the Tesla of e-bikes, according to the CEO, Don DiCostanzo. Apparently, Elon Musk has a few in his garage. Unlike some other e-bike manufacturers, Pedego only makes electric bicycles. For them it is not some afterthought, it is their only thought. We had the Ridge Rider for a couple of weeks towards the end of the summer and after a few long rides, we can say that we thoroughly enjoyed it. The Electrek Review: Raleigh Redux IE w/Brose drivetrain the new electric commuter bike benchmark? A few weeks ago, I was able to get my hands on the 2017 Raleigh Redux IE Diamond Frame and it has become one of my favorite commuter-style e-bikes ever. The Redux IE is fast, very maneuverable, light (for an e-bike anyway), quiet, it strikes the right balance when it comes to value for money (regularly $3199, on sale now for $2699) and maybe most importantly, this bike is so fun I can’t wait to ride. Bosch eBike Systems acquired COBI, a connected biking startup that enables cyclists to use their smartphones as an eBike control and display unit. The exact amount and terms have not yet been disclosed publicly. COBI already offers many more services than the Bosch’s current eBike system which focuses mostly on drivetrain functionality. With COBI you can use services such as GPS navigation, music, phone, and fitness but also services such as Strava, Spotify, Apple Health and third-party Bluetooth fitness sensors, whereas with Bosch your display is really only a control panel for your bike. Cobi integrates both worlds and connects the rider…. The Electrek Review: Is the Trek Super Commuter +8S super at commuting? “Goodbye car,” is what it says on the Trek website and that was our initial question: Can this bike replace a car for a meaningful percentage of commuters? Clearly, Trek is positioning the Trek Super Commuter +8S bicycle as a viable alternative to a car for your daily commute. As far as the price of this bike goes that comparison is a fair one. For the $4,999.99 that you have to shell out for this bike, you could buy a used car! But let’s not talk money yet, could this bike replace a (preferably electric) car for your daily commute? Is the bike good enough and practical enough to replace the car for your drive to and from the office? I rode the Trek Super Commuter +8S from Croton-on-Hudson, NY to New York City to find out. Along the 40+ miles I rode on this bike, I encountered backroads, muddy single tracks, gravel roads, bike paths and the busy city streets of Manhattan. Granted, I don’t expect people to use this bike for a daily 40 miles commute each way, but the point was to put the Trek through its paces and see how it would stack up. How good of an electric bike is it really? We don’t usually feature concept vehicles, generally opting to wait until they are ready for release to the general public. But a new e-bike from Expemotion has caught our eye and we had to share it with you. 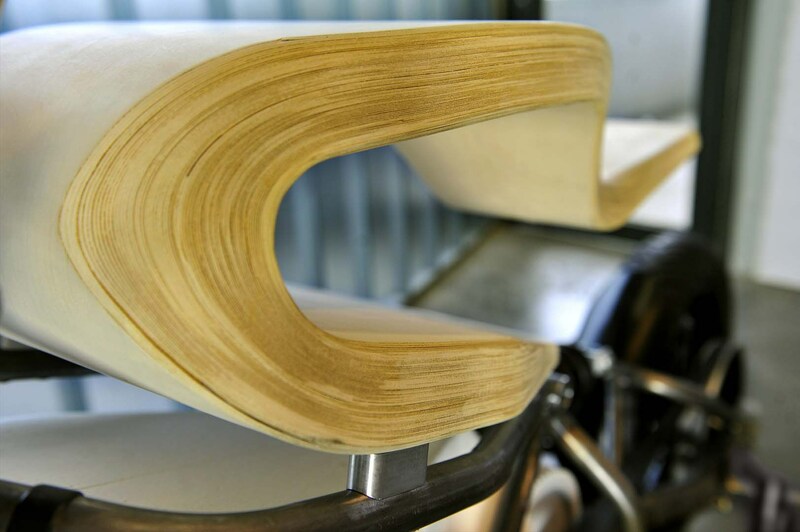 The E-Raw concept blends natural and man-made materials that results in a stunning two-wheeled creation. 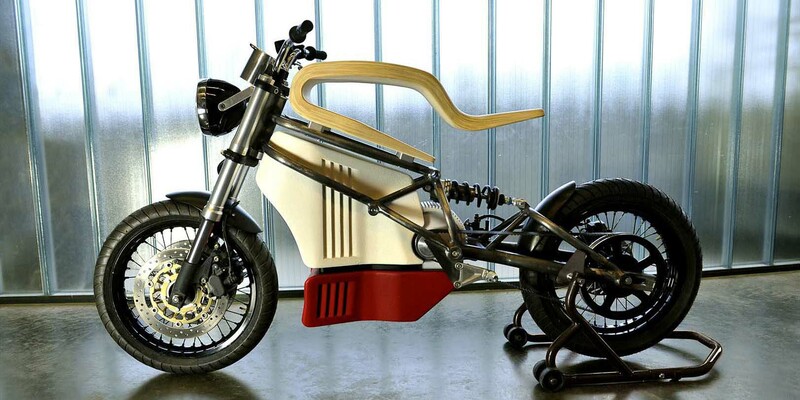 From the simple steel tube chassis to the wooden seat that wraps around the motorcycle acting as placeholder for a would-be gas tank, this bike is eye-popping. It has a built-in spot on the dashboard for your smartphone and a red/white metal enclosure for the motor. Amongst all the prototypes that we have seen recently, the E-Raw is one of our favorites. No word on its release or future plans, but you can head over to Expemotion for more details.